CASHMERE — Talk about brotherly love. Twin brothers from Chelan made sure Sunday the 2016 Red Devil Challenge Trail Runs race will be one to remember for years to come. 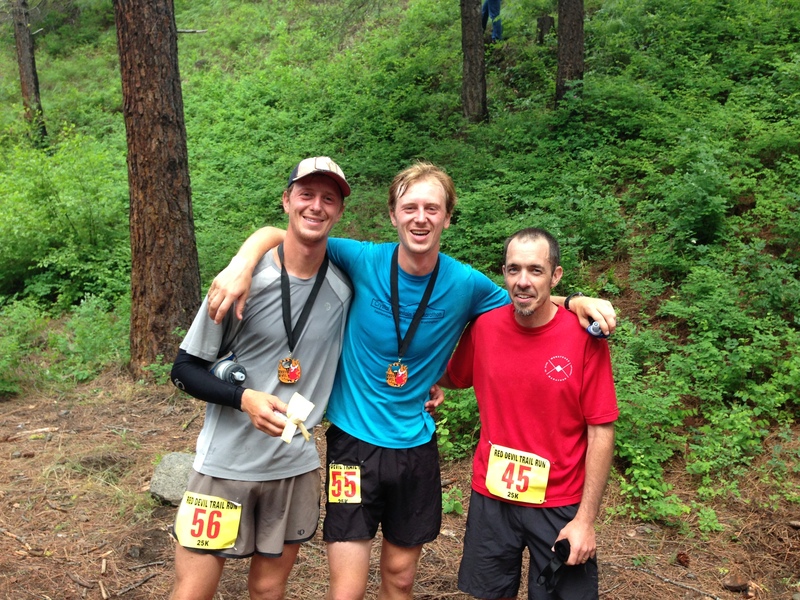 The Desmarais brothers, left, and Barry Hodges pose for a photo after completing Sunday's 25K race. finish line in a tie for first. The 24-year-old brothers were each timed in 2 hours, 6 minutes and 36 seconds. Finishing third was Barry Hodges of Cashmere in 2:12.37. East Wenatchee’s Sarah Barkley blazed to the women’s 25K title in 2:24:57, nearly 10 minutes faster than runner-up Laura Valaas of Wenatchee. Tove Pashkowski, of Fernie, B.C., was third in 2:48:06. Taking the Red Devil men’s 10K race was Ryan Carrasco of Leavenworth in 44:21, followed by East Wenatchee’s Phil Hochwalt (45:04) and Cashmere’s Mac Fraley (47:25). Yakima’s Katharine Martin was the women’s 10K champ in 57:35. Cashmere’s Jenny Fraley claimed the runner-up spot in 58:16. 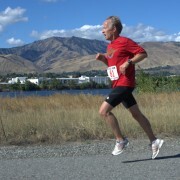 Third was Marci Lyon of East Wenatchee in 58:44. A total of 192 runners registered for the event, which was held under party sunny skies and temperatures in the 50s and low 60s. 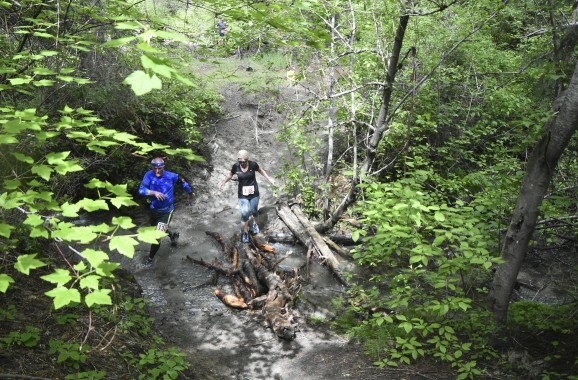 The trails were muddy in spots — thanks to heavy rain on Friday night — which slowed the times of runners. For complete results, please click here. About half of the participants came from outside the Wenatchee Valley, including trail runners from as far away as California, Idaho, Oregon, Alaska and British Columbia.